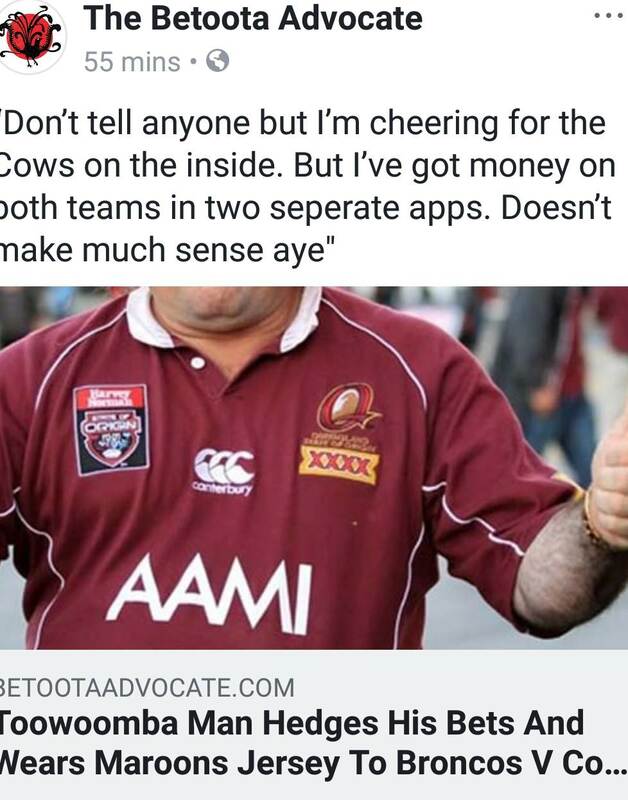 If your a true Queenslander you cant loose. ****. You'll never see a luckier bounce of the ball then that. I'm surprised at the way this game has started out, still 40 to go and like any team with JT in it, anything can happen. Master coach has the Broncos up for this one tonight. Is this the same bloke who recruited badly and offloaded good players ? Only Queenslanders know how to play real footy. Only Queenslanders know how to be real po@fy.